Having associated with textile retail sector for the last few years, I think it it time to share my experience with you. It is a competitive market. there are many large players out there. Lacks of small players are also there. Each have their niche market. The recent non-availability of labor, higher rentals and power problems have added the cost of production up considerably. Selling price of many items has gone up by 3/4 times in the last 5 years. 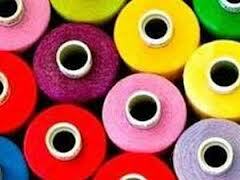 The major south Indian production belt of Tirupur (T-shirts), Karur(Lunkies), Salem/Erode(textiles/trading) are reeling under the above mentioned problems, demand-supply gad has come under severe pressure. Though large players survive on profits based on high turnover , it has become tough for small players. The recent mall culture has added fire to the fuel. To summarize, it is a market, where the fittest, survives.